The mission of CFGSEC is to create a prosperous world by applying a holistic approach to growth, poverty, inequality, life expectancy, environment and climate change. The new Centre for Global Socio-Economic Change (CFGSEC) has developed a mixed theoretical - empirical approach to the important problems our planet is facing such as low growth, extreme poverty, mass migration flows and environmental deterioration and climate change. By introducing the ‘Global Socio-Economic Landscape’, the Centre reveals the fundamental relationships between economic performance, social exclusion and the ecological footprint of communities such as nations, cities and neighborhoods. This holistic picture leads to a new understanding of the limitation of GDP as a measure for prosperity and the decisive role of balanced income & life expectancy in the journey to a prospering world. Even more exciting, the Centre’s nonlinear prediction paradigm may lead to a new direction in the way complex futures will be forecasted. Empirical learning is an integral part of this process. In its first World Prosperity Outlook (WPO I) CFGSEC tells a fact-based story by using its big data capability. The Centre’s first WPO uncovers the fascinating socio-economic transition paths of the entire world, of countries and of individual cities. Together they provide a comprehensive picture of what has happened in the past. The WPO demonstrates that with a deep understanding of these fact-based pathways, the Centre’s forecasting capability is able to create unprecedented reliable images of the future. 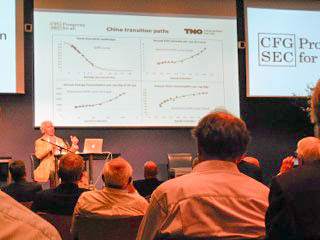 At the end of this year CFGSEC will publish its second Outlook (WPO II). Please note that for the transition paths of nations, CFGSEC uses data from PovcalNet, the Worldbank and the United Nations Population Division. In particular for the transition paths of cities, CFGSEC also makes use of the many rich national databases, often requiring good knowledge of local languages such as Chinese and Portuguese. It turns out to be a major challenge to transfer all these different data formats in one consistent database. The Centre hopes to inspire (inter)national social, economic and environmental planning bureaus to collaborate in making one holistic outlook. The Centre also hopes that it will inspire (inter)national business organizations to upgrade their sustainability ambitions. In the past few years, we see a breakthrough in the description of human behavior with the use of data science. We live in an emerging digital era where people have become big data producers, leaving day in day out an abundance of information that reveals a detailed track of human activities (‘digital footprint’). By continuously analyzing these daily data tracks with the aid of the latest mathematical techniques (‘data science’), group profiles can be made and the future behavior of these groups can be predicted with unprecedented reliability. Predictive analytics is a key technological development today. It is fact-based, fast and low-cost. It will revolutionize the way we solve very complex problems. Predictive analytics will become a big enabler of global prosperity. CFGSEC applies this mixture of theoretical and empirical technology to communities on a global, national and local level. 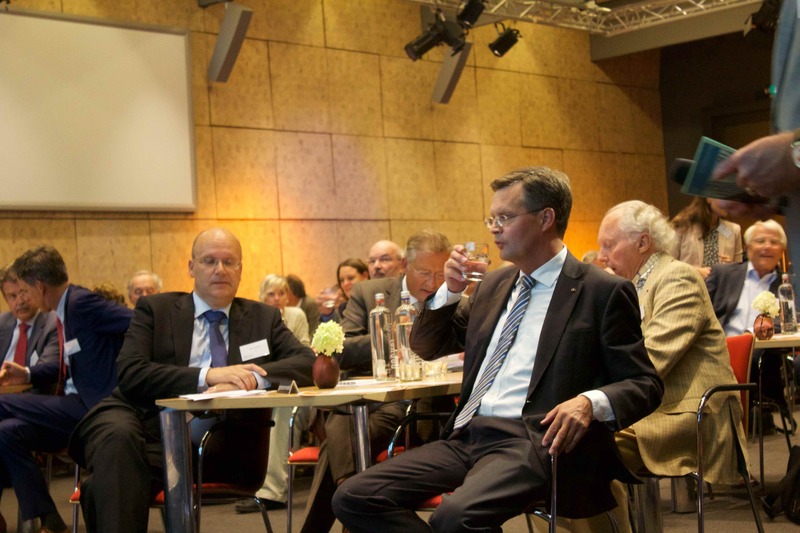 The Centre connects with its holistic approach many international agendas. Results have already led to a wealth of new concepts and insights. CFGSEC searches for a better understanding of the socio-economic performance of communities (world, nations, cities). This means that the worldwide used concept ‘Gross Domestic Product (GDP)’, quantifying the amount of goods and services we produce in a time period, provides us with a limited socio-economic picture. Instead, the Centre introduces a richer concept that embodies the household income, the inequality index and the poverty level of a community in one big picture. Even more important, CFGSEC searches for a better understanding of changes in the socio-economic performance of a community. For this reason the Centre introduces the transition path in the ‘socio-economic landscape’, visualizing the changes in household income, inequality index and poverty level over time. In addition, all these socio-economic changes are directly coupled to the involved ecological (natural environment, local climate) and in the future also to the involved demographic (population growth, life expectancy) changes, leading to associated transition paths. Together, these pathways describe the DNA profile of a community. By comparing the difference in transition paths worldwide with the difference in social-economic-environmental institutions worldwide, insight will be gained how to optimize the infrastructure of communities that stay behind (‘stayers’). All these fact-based insights provide a global big picture, representing the complex world around us as a transparent system of systems. This comprehensive picture of the past and the present is utilized by CFGSEC to create time-lapse images of the future for cities, individual nations, for groups of nations (such as the EU) and for the entire world. The Centre applies two consecutive forecasting steps that provide (1) a ‘business as usual’ outlook for the situation of unchanged socio-economic-ecological behaviour (being an extension of the past) and (2) alternative outlooks for the situation of modified behaviour (being deviating pathways showing the consequences of competitive policy updates). CFGSEC emphasizes that the future is not a fait accompli, but that we have the opportunity to influence the future. It is a hopeful perspective we can pass on to the young generation. The Centre proposes to replace passive open-loop prediction by active closed-loop forecasting. According to CFGSEC’s paradigm, the capability to influence the future is the prime characteristic of true leadership. First results reveal that social and economic performances are highly correlated, enabling us to estimate and visualize transition paths in the Socio-Economic Landscape on a global, national and local level. Each socio-economic transition path provides a transparent picture of the dynamics in mean income, poverty level and social inequality of a community (nation, city). This picture does not only show the past and the present but above all, it also provides an outlook of the future, being accomplished with CFGSEC’s nonlinear forecasting capability. This capability will lead to forward-looking ‘board room tools', assisting (political) leaders with fact-based images of the future. 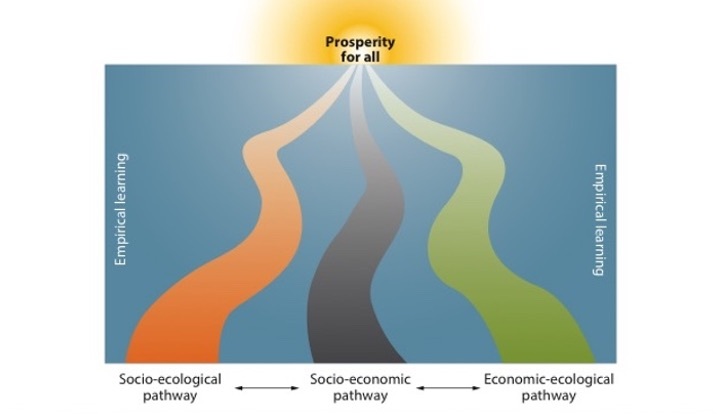 CFGSEC complements socio-economic transition paths with ecological transition paths, showing the influence of local socio-economic progress on the environment as well as the influence of local climate on the socio-economic system. These associated paths confirm that the production processes in fast growing nations still occurs at large costs of the environment. It is proposed that these environmental costs are also related to nations that import those products, suggesting co-responsibility of producers and consumers. In the near future socio-economic and ecological data will be complimented by demographic data, in particular with respect to population growth and life expectancy.